← What We Do in the Shadows – Out Today! Let me start by saying that this is one of those films that benefits from knowing next to nothing going in. Strange things happen when a group of friends gather for a dinner party on the same evening that a comet is passing overhead. That’s really all you need to know. Buffy fans will of course recognise Maury Sterling who plays co-host Kevin and there’s a great in-joke, as his character plays an actor who was in teen sci-fi tv show Roswell. The film is an ensemble piece but at the same time we see this night unfold through the eyes of Emily (Emily Baldoni). We start the film watching her drive to the dinner party while talking to her boyfriend on the phone. He says that they really need to talk and it’s at this point, mere minutes into the film that odd things start to happen. All the actors do a great job of making the group dynamic believable and while some audiences found the overlapping dialogue tricky to follow and frankly annoying, it felt very natural to me, especially when you consider the plot, these people are plunged into chaos, not everyone is going to wait their turn to talk. 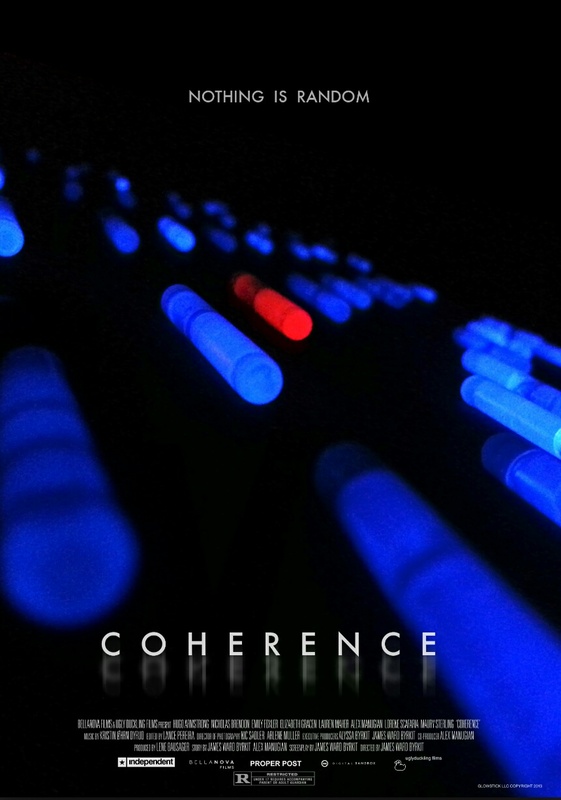 Coherence isn’t just low budget in Hollywood terms this film had no budget. It took all of $50,000 to make this film and it’s worth every penny in my book and I might go so far as to say that more money might have ruined the film. It’s the lack of special effects, the lack of large sets that make this film feel so intimate and captivating. While some of the themes in the film have been done to death, this is a fresh take on sci-fi in a refreshing choice to set the film in modern day. You really never know where this film is going, which is no mean feat and by the time the credits roll, you’ll want to watch it all over again, or at least I did. 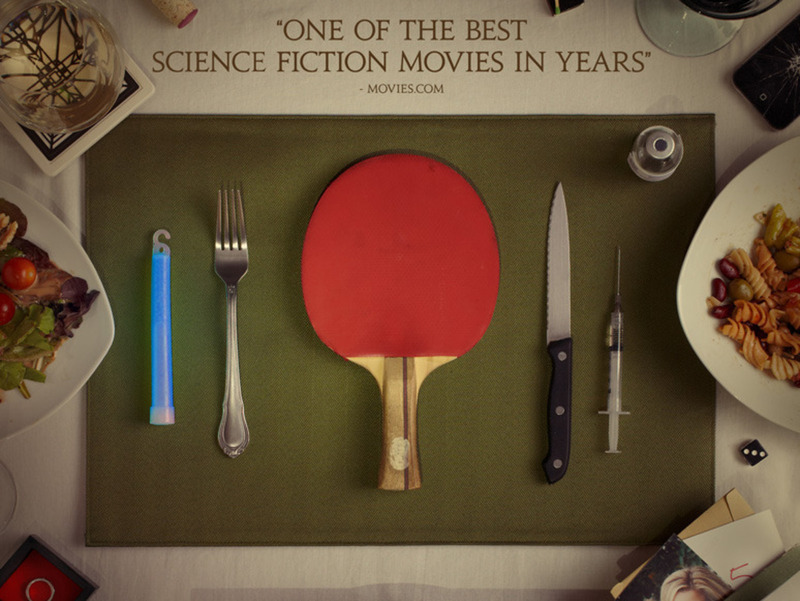 Cohehernce is a real unexpected sci-fi gem. This entry was posted in Film, review, sci-fi and tagged Bellanova Films, Coherence, independent, James Ward Byrkit, Maury Sterling, Oscilloscope Laboratories, sci-fi, Ugly Duckling Films. Bookmark the permalink.